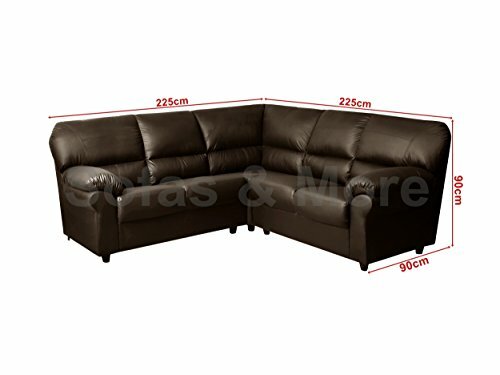 We are presently presenting the popular CANDY Corner Sofa Suite in Brown PU Leather at a brilliant price. Don't miss it - purchase the CANDY Corner Sofa Suite in Brown PU Leather online today! 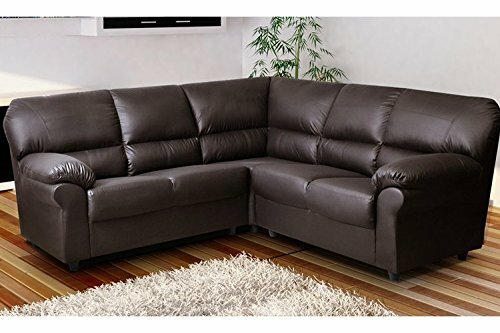 The Sweet Leather Sofa Suite is very comfortable, with a downplayed design that will look terrific in any setting. It has a fibre-filled back, and the seat cushions are foam-filled for a really relaxing experience. The sofa is covered in trendy PU leather and is available in an option of black or brown to match your individual taste. COMPLIMENTARY LOCAL DELIVERY, Delivery outside Blackburn with Darwen from ? 25, message with your postal code for delivery quote.